Users of social networks and the Internet in general madly love to watch funny animal pictures. Looking for any website to communicate, you will stumble on the pictures inconspicuously with cats, dogs, parrots and other smaller brothers. Some of them after a while become real stars. We offer you a list of the most popular cats Internet. Tardar cat that got the Internet nicknamed "angry cat", has become extremely popular because of its expression of the eternally dissatisfied muzzle. In fact, the reason for this is the genetic defect, due to which the cat has malocclusion. Tardar has a brother Pokey who also has a specific look because of the same genetic abnormalities. Recently, animal increasingly appears not only on theInternet but also on television. "Grumpy Kitty" has been dedicated book and has recently released the drink Grumpuccino with the muzzle of "dissatisfied" cat on the packaging. Currently, he is preparing to feature in the film. Cat lives in Arizona, USA. It has an official website and a page on Facebook, which has already collected over one million likes. Cute cat breeds of Scottish Straight, who lives in Japan, has become a real star of the Internet after its owners began to spread videos with his participation on YouTube. In 2011, cat owner has released a book about him "I Am Maru". Maru has his own website and a channel on YouTube. 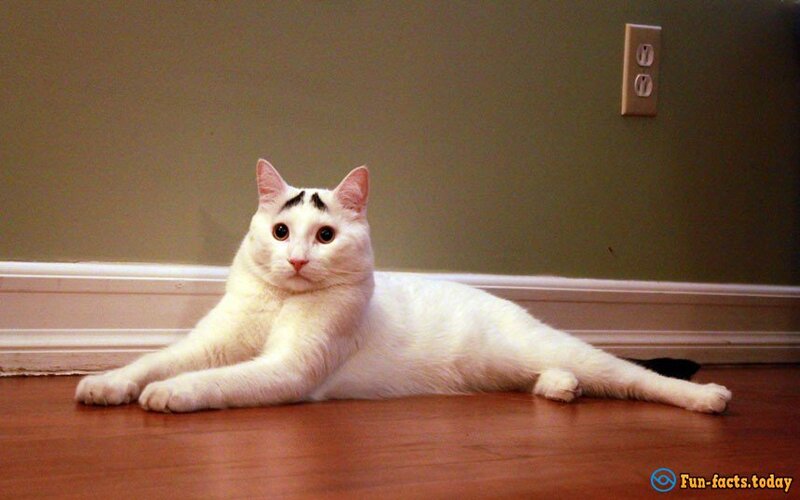 The cat with the eyebrows, because of which he constantly looks very puzzled, blew up the Internet immediately after its owner has created a personal page. An animal that supposedly lives in New York City has nearly a hundred thousand subscribers in Instagram. Persian cat "lit up" on the Internet in the summer of 2012 and immediately became a star. He lives in Seattle with his owner Anne Marie, who took it from a shelter in 2011. The cat became popular thanks to its incredibly fluffy fur and his expression of the muzzle as if he hates all. The cat was born with multiple genetic abnormalities. It is the size of a kitten and never grows up, her legs are too short and they have extra toes, but she has no teeth - which is why she has so often his tongue hanging out. However, this kind of appearance does not prevent her to be healthy and have thousands of fans around the world. 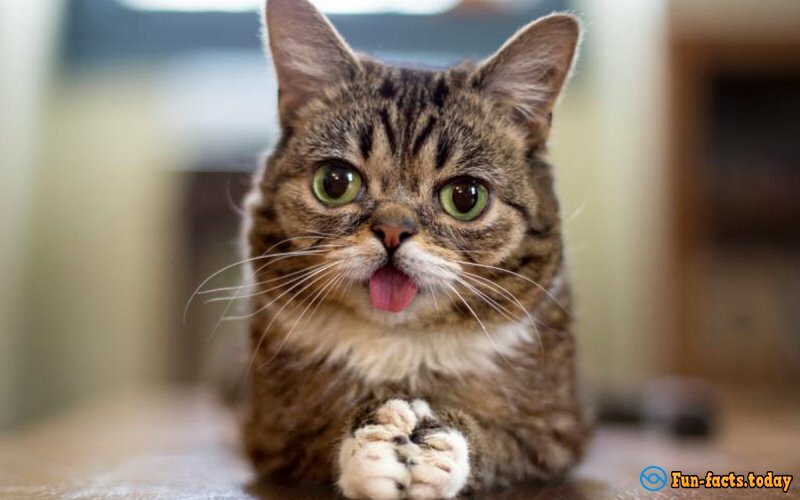 Lil Bub has a website, twitter account Instagram, and even shop where you can buy souvenirs and clothes with her image.